SANTA ANA, CA (May 15, 2014) In celebration of Harvey Milk Day on May 22, 2014, Theatre Out, Orange County’s gay and lesbian theatre, is pleased to announce that critically-acclaimed Orange County and Los Angeles County director, Katy Chidester will helm Dear Harvey by Patricia Loughrey, a multimedia production exploring Harvey Milks life and message, May 22-24, 2014 with tickets available online at www.theatreout.com. Dear Harvey tells the story of Harvey Milk, the politician and activist, examining his life and death through the eyes of the people who knew him best. In a Laramie Project-styled evening, an ensemble of 7 actors read letters and recreate interviews with Milks closest friends. Through their eyes, the audience begins to see how, with only 11 months in office, Milk changed the face of politics and the LGBT rights movement. Dear Harvey is being presented as part of Theatre Outs 2014 Pride Series. The Pride Series celebrates the history and diversity of the LGBT community. This years Pride Series opened in January with Matthew Ivan Bennetts emotionally charged one-person show, ERIC(A) and continues in the fall with three pieces celebrating the 50th anniversary of modern gay theatre: Street Theater by Doric Wilson, The Madness of Lady Bright by Lanford Wilson and Pouf Positive by Robert Patrick. The ensemble cast consists of seven actors familiar to Theatre Out audiences. Meghan Becker was first seen on the Theatre Out stage in Elegies for Angels, Punks and Raging Queens and was last seen in Briefs in the world premiere of My Jesus Year. Jessica McDonald has worked both off stage and on and gave a memorable performance as little Tina in the late-night Sound of Music parody Claptrap. Jeffery Rocky is an audience favorite also seen last in Claptrapp and previously as the Ghost of Christmas Present in A Queer Carol. Amber Scott has been seen numerous times on the Theatre Out stage in Briefs, including the world premiere and Producers Choice award-winning, Write This Way by Donna Hoke. She will be seen later this year in Del Shores Sordid Lives. Robert M. Tullys haunting portrayal of Aaron McKinney and delicate portrait of Dennis Shepard in The Laramie Project won him critical acclaim and rave reviews from the audience. David Tran and Christopher Yu were both last seen in Theatre Outs most recent critically-acclaimed production of Corpus Christi by Terrence McNally. Tickets to Dear Harvey can be purchased online at www.TheatreOut.com or by visiting the Theatre Box Office 1 hour prior to curtain time, as available. Theatre Out is located at 402 W. 4th Street in Santa Ana, California. Dear Harvey performs Thursday, May 22, Friday May 23 and Saturday May 24 at 8:00 pm. All tickets are $20. Group discounts for groups of 10 or more are available by calling the Box Office at (714) 220-7069. Theatre Out was founded in 2006 as an at-large company dedicated to performing theatrical works relevant to the lesbian, gay, bisexual and trans community throughout Orange County with an emphasis in sharing the LGBT experience with allies and the greater community. Theatre Out has received national and international attention for their work, receiving numerous awards for excellence in production. The founders of Theatre Out have been featured on the front page of The Orange County Register and were featured in the OC Weekly’s Best Of 2012 issue as part of the “Dirty Dozen”. Upcoming Theatre Out productions include the hit Broadway musical The Drowsy Chaperone (June 6 – July 26, 2014) and the dark drama Beirut by Alan Bowne (August 22-September 13, 2014). Patricia Loughrey (playwright) was commissioned by Diversionary Theatre to create a tribute to Harvey Milk on the 30th anniversary of his assassination. Dear Harvey: Stories of Harvey Milk, opened April 19th, 2009. 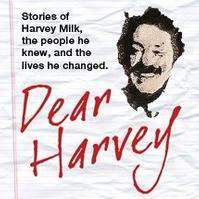 On December 6th, 2009, the script for Dear Harvey was entered into the Harvey Milk portion of the California Museum Hall of Fame. Ms. Loughrey wrote the book for the musical The Daddy Machine which was featured entertainment on Rosie ODonnells R Family Cruise to the Mexican Riviera in March 2008. The Daddy Machine – commissioned and produced by Diversionary Theatre- is a family-friendly musical based on the book by Johnny Valentine, published by Alyson Books. Her full length play: Lord Derbys Giant Eland placed second in the Kennedy Center, ACTF Mark Twain Comedy Playwriting Awards, and was produced at San Diego State University in 2005. Her plays for young audiences include: Nicaragua USA, at the New Conservatory Theatre in San Francisco, and Not Who You See, But Who I Am, with the Mark Taper Forums Improvisational Theatre Project. Her HIV education plays include Secrets, produced by Kaiser Permanente (winner of the Ryan White Award) and The Inner Circle, seen worldwide in over 500 productions. HUNGRY, commissioned by the Food Bank of Contra Costa and Solana is currently touring in the Bay Area. Ms. Loughrey was playwright-in-residence the William Inge Center for the Arts, and at Point Loma High School. She wrote and performed one-woman shows in Santa Barbara and San Francisco. She has taught playwriting at San Diego State University, Diversionary Theatre, and Independence Community College. Ms. Loughrey holds an MFA in Theatre Arts from California State University, Long Beach and is a member of The Dramatists Guild.